Description SV trim, BRILLIANT SILVE exterior and Charcoal interior. JUST REPRICED FROM $23,650, FUEL EFFICIENT 30 MPG Hwy/21 MPG City!, $2,100 below NADA Retail! Heated Leather Seats, Nav System, Remote Engine Start, CD Player, Smart Device Integration, Dual Zone A/C, Back-Up Camera, Aluminum Wheels, Satellite Radio, Bluetooth, iPod/MP3 Input. CLICK NOW! Leather Seats, Navigation, Heated Driver Seat, Back-Up Camera, Satellite Radio, iPod/MP3 Input, Bluetooth, CD Player, Remote Engine Start, Dual Zone A/C, Smart Device Integration, Heated Seats, Heated Leather Seats MP3 Player, Aluminum Wheels, Keyless Entry, Child Safety Locks, Steering Wheel Controls. Nissan SV with BRILLIANT SILVE exterior and Charcoal interior features a V6 Cylinder Engine with 300 HP at 6400 RPM*. 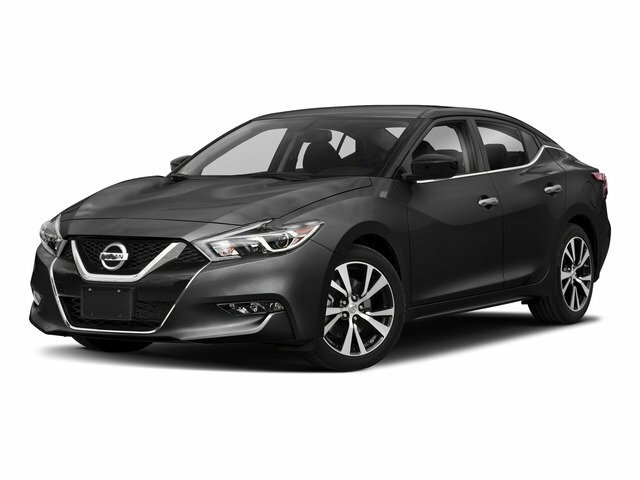 KBB.com's review says "Now standard on every Maxima, Nissan's Intelligent Forward Collision Warning system goes beyond standard systems that alert the driver to a slowed or stopped vehicle by actually looking two cars ahead.". Great Gas Mileage: 30 MPG Hwy. Was $23,650. This Maxima is priced $2,100 below NADA Retail.